Week 14: How Has Trump Challenged Our Democratic Norms? On of Indivisible, CNN host Fareed Zakaria helped establish a set of democratic norms against which the Trump Administration’s actions could be measured. "Many of the things that make democracy what it is are not written in stone,” he told Brian Lehrer, explaining that what worried him most about a Trump presidency was a breach of what he called “informal norms.” Mocking the press, for example, “is not unconstitutional, but it violates a norm. It’s an attempt to intimidate,” Zakaria said. On this episode of Indivisible, Zakaria returns to answer and evaluate whether other norms, informal or not, have in fact shifted during Donald Trump’s first days in office. Plus Indivisible and StoryCorps have been asking you keep the conversation going by to someone in your own life with whom you disagree with politically. Dave Isay, the founder of StoryCorps, is joined by a husband and wife whose opposing political opinions are causing marital stress. One is a political scientist and the other a rocket scientist. Can you guess who voted for Trump? Want to take part in our social experiment with StoryCorps? Here's how: email with the subject line "Indivisible Interview." Tell us who you want to talk to, why, and what you want to ask them. 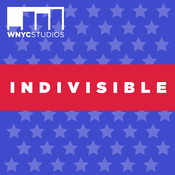 Here are some Tweets from this episode: Indivisible Week 14: How Has Trump Challenged Our Democratic Norms? Week 13: How Do We Get America Back To Work? When GM idled its plant in Janesville, Wisconsin in 2008, the town became emblematic of a crisis facing many communities in middle America. 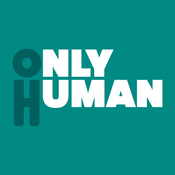 When traditional manufacturing leaves – for whatever reason – economies are turned upside down, collective identity changes, and very often depression sets in. While it may seem outdated to some that a community will identify with a corporation, that’s just what happened for decades. Losing the plant left many in Janesville searching for a future. This week, President Trump signed an executive order to bring jobs back to towns like Janesville, but the question is -- is it too little too late? On this episode of Indivisible, host Kerri Miller talks with Amy Goldstein, author of “ ,” and Linda Tirado, author of “Hand to Mouth: Living in Bootstrap America,” about the realities of the company town and what the future holds. Here's the — Jeff Jones (@JeffMPR) Here are some Tweets from this episode: Indivisible Week 13: How Do We Get America Back To Work?